Pay tribute to the ‘gentle art’ with the VXRSI Jiu Jitsu Revolution Shirt! Brazilian Jiu-Jitsu was ultimately the catalyst for the emergence of the Ultimate Fighting Championship (UFC) therefore, we need to pay our dues to the martial art for what it’s done to the sport that we all have grown to love. 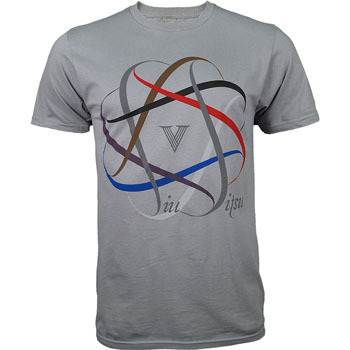 The Jiu Jitsu Revolution Shirt by VXRSI just does that, integrating all the BJJ belt colors together, with a VXRSI “V” logo in the middle. Perfect for wearing at the gym, sparring or for casual use, so if you’re a fan or practice the sport, then the VXRSI Jiu Jitsu Revolution Shirt is definitely for you. The VXRSI Jiu Jitsu Revolution Shirt is available at MMA Warehouse.